Own son of Famous Las Vegas by Futurity Winner and Winning Open Horse Angel Racin Free. This black gelding is good minded and willing to work. He was broke by champion Cutting Horse trainer David Berry and is being hauled. He is paid in full to Future Fortunes. 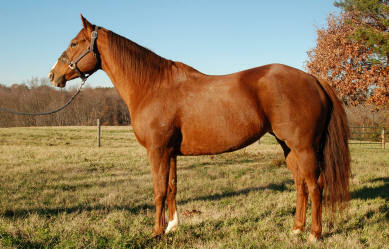 This Beautiful 6yr old mare is by the up and coming barrel stallion Famous Gold Coin. Famous Gold Coin is by Dash Ta Fame out of Queens Coin. Queens Coin produced All Time Leading Futuriity Horse Sissy's Little Coin. "Penny" is running barrels and has a bright future. She is currently being hauled. Grace is a big stout mare with a big motor and craves the turn. Buckle winner. See Video's Below! Angel Racin Free is a beautiful 15.1, very stout mare. She placed in many futurities across the country. These futurities include RESERVE FUTURITY CHAMPION at the Speed Horse Bonanza Futurity, 4that the Atlantic States Futurity, 5th at the WestVirginia Futurity, top 10 in the qualifying go and finalist at the Speedhorse Gold Cup Futurity, and a finalist at the BFA World Championship Futurity in Ok City. She has also won and placed in many open barrel races and been an arena record holder. I started her as a 3yr old and have owned her since. She would make a great rodeo horse. 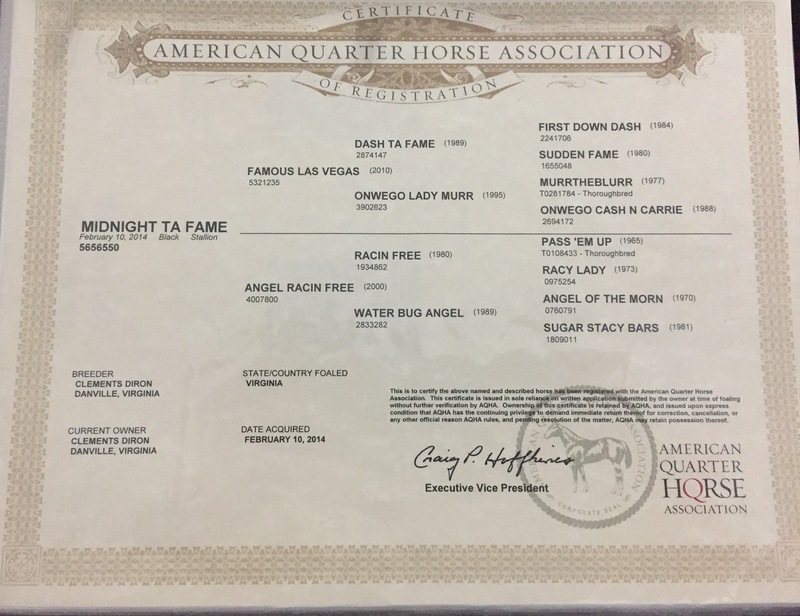 Angel Racin Free is also the half sister (same mare) to Perked N Poised that took Brad Shirey to a 2nd place finish in the 1-D of the 2nd Go and a 5th place finish in the finals of the 1-D at the 2009 NBHA World Championship. Perked N Poised is currently winning in Canada with new owner Tamaran Gray. Good home is a must! Vet Checks Welcome! Thanks for looking. Year after year we read about the top horses across the nation in the futurity, derby, open and rodeo events. Own son’s and daughter’s of Dash Ta Fame seem to always top those list. 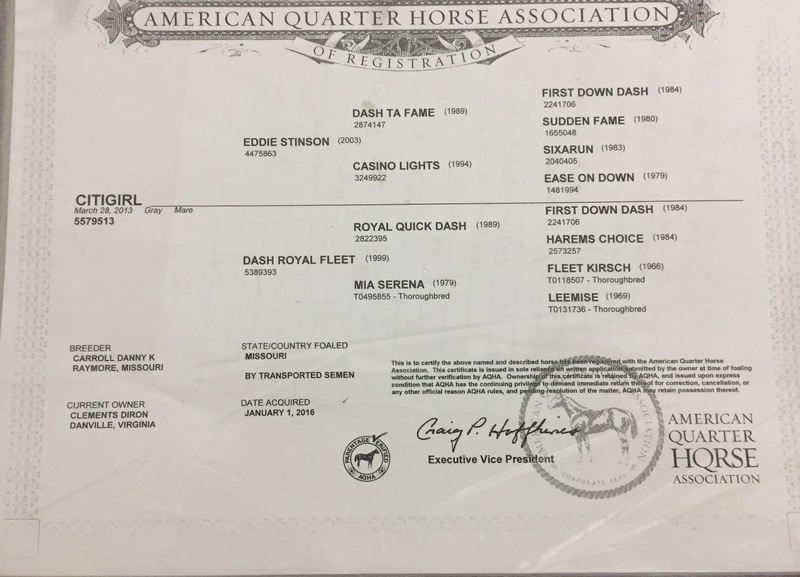 Whether is’s Jordan Bassett’s “Mimis on Firewater” winning the futurity, Brandon Cullin’s “VQ Sucker Punch” winning the derby, congress, making the finalist of THE AMERICAN, Streak Ta Fame winning a rodeo or Chris Coffee’s “Famous Firewater Annie” winning an open event the common factor is the sire is Dash Ta Fame! I am proudly offering for sale my 4yr old stallion “RRO DontLetMyFameBugU." He is a stout, big boned, eye catching, gorgeous son of the #1 Leading Barrel Horse Sire “Dash Ta Fame.” His dam is an own daughter of Blushing Bug. This cross would be a great outcross to any Frenchman Guy, Firewater Flit or Cow Horse Mare. Flu was broke by Champion Cutter David Berry. He was started on the barrels and brought along slow. He has been hauled and exibitioned but never entered. This makes him eligible to run 5yr old futurities in 2018. He was paid in full to the Old Fort Days Futurity in Ft Smith also making him eligible to run his next 2 years there as a derby horse. He has never been bred but has the tools. He would be an asset to any breeding program that has interest in competing now and breeding in the future once an extensive win record has been developed. 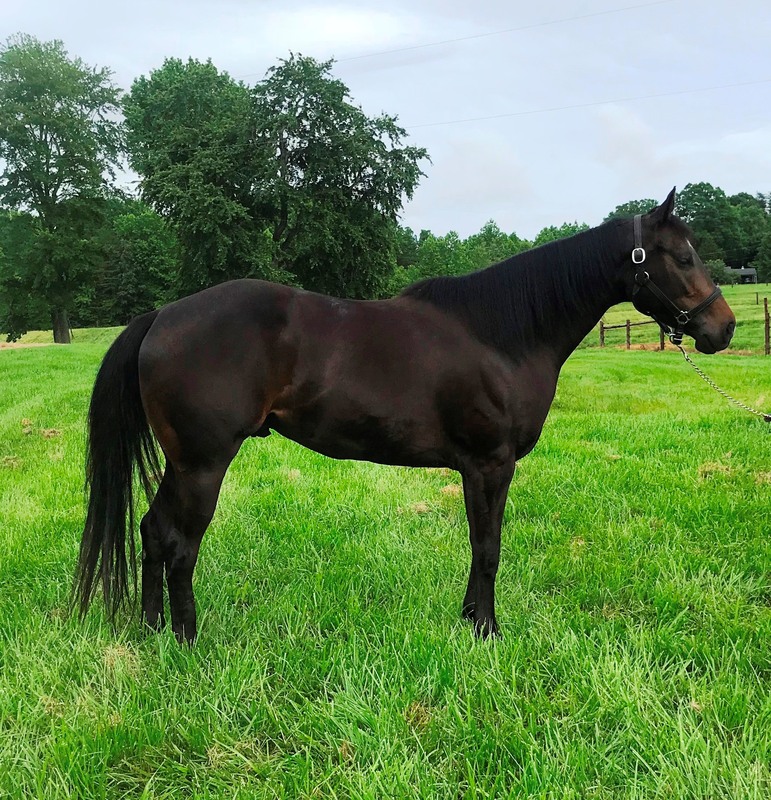 He has the start, the temperament and the pedigree to carry on his father’s name as a sire and follow in the footsteps his siblings have laid in the barrel futurity, derby, open and rodeo arenas. Flu is handled everyday and doesn’t know he is a stud. I have grown him from a yearling to the massive beauty that he is now. He is running barrels and started on the poles. He is ready to be taking to the next level while building his value and worth as a stallion. This beautiful daughter of Eddie Stinson has been started and is running barrels the right way. Daughters of Eddie Stinson that are winning in the barrel arena include Foxie Stinson 2015 All American Quarter Horse Congress Sweepstakes Champion and Tibbie Stinson who is currently sitting 2nd in the WPRA with Ivory Conrodo aboard. Cher shows all the signs and has all the tools to follow in her siblings footsteps. See video below of her first exibition July 2016. Barrel & Pole Kids Horse! 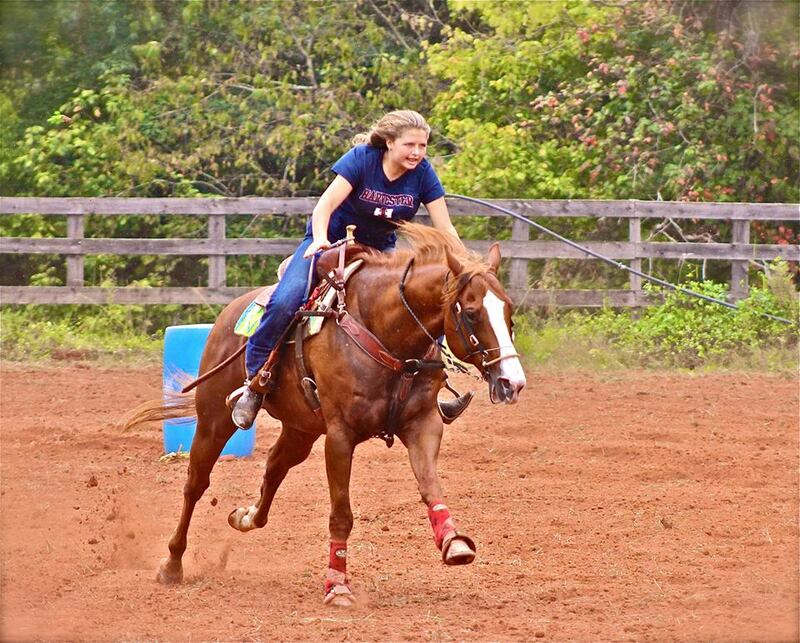 Pumpkin is an automatic barrel & pole horse that has won with kids and senior riders. See Videos! This 4 yr Ivory James gelding is the sibling to Futurtiy Winners Pirate Ben (Jim Warner) and Incendiary Ivory (Leslie Willis). His strong boned body and pleasing demeanor will surely make him a rare find. 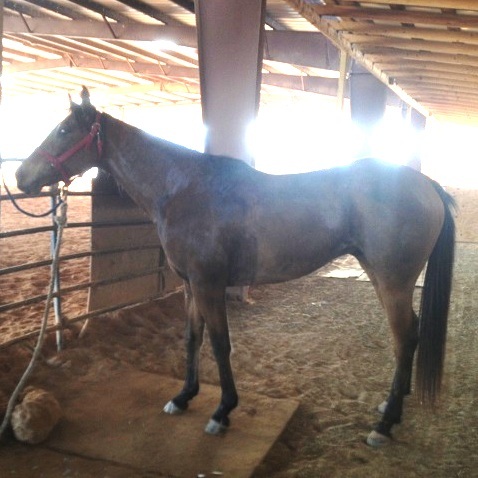 He has been hauled and eligible to run in 2015 as a 4yr old or held until 2016 as a 5yr old futurity horse. Winning Open Horse! Bo has won with multiple riders. 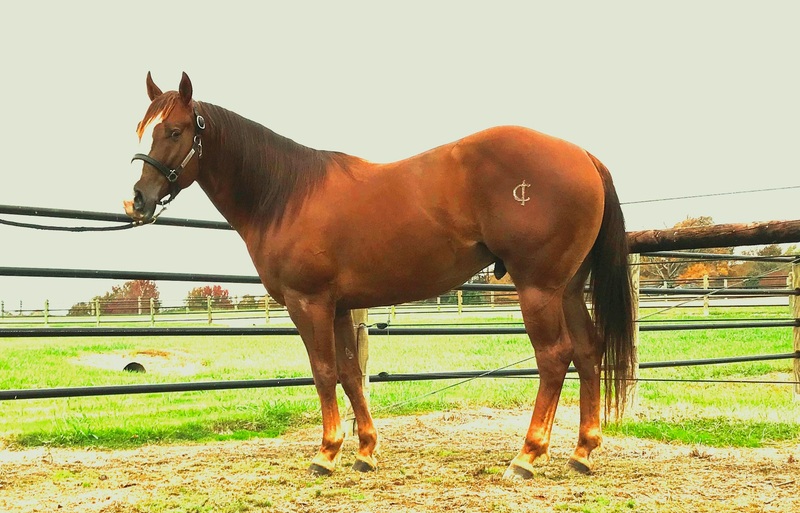 He is a big strong gelding that can run and turn. Rodeo Ready! Super Show Ready! 1-D Horse Documented!! 2012 NC State Finals 1-D Top 6 out of over 300 entries! Panama is a 16h gelding by the GREAT barrel horse sire Panama Edition. His siblings have won many championships in the barrel arena include Fifth of Jack, Panama Black Gold, Panama Shady Lady, Bad Bad Panama (just to name a few). His dam, also one of the GREAT ones, Rumors Of Gold won the All American Quarter Horse Congress as well as the BFA Sweepstake Championship. She had many other wins in her career. Panama is a smooth turner with a long stride. He is easy to ride and would suit most any level rider! Frosty is a very nice race bred colt. He is good to be around and ready to go on with. Very calm and quite. This colt should mature to be big and stout. Worth the money! Rosco is a big beautiful gelding. He is Bombproof and beginner-safe on trails, 100% sound, vet checks welcome. Very lightly used, has lots of good years left. 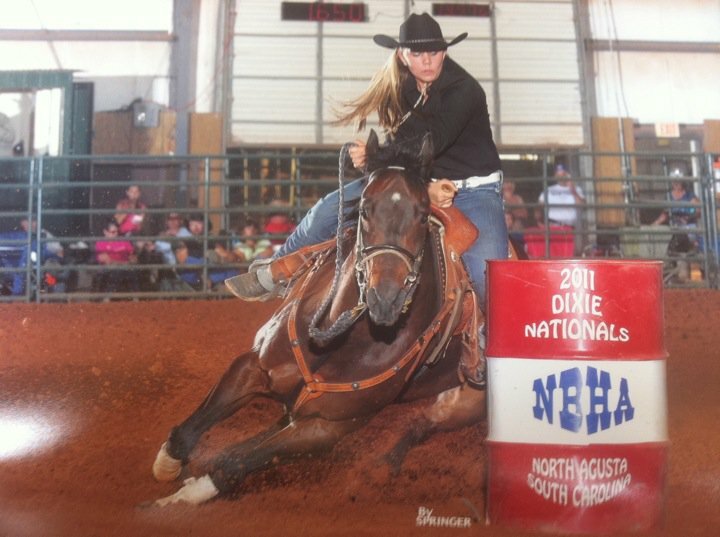 Horse won pro rodeos with previous owner, won the Open at NBHA sanctioned shows many times. Free runner. FAST. Runs in a hackamore or combo bit, handles all types of ground. This guy would take an experienced youth rider to the next level, make a great high school rodeo horse, or a competitive open horse for anyone. Fun to ride. To a great home only. 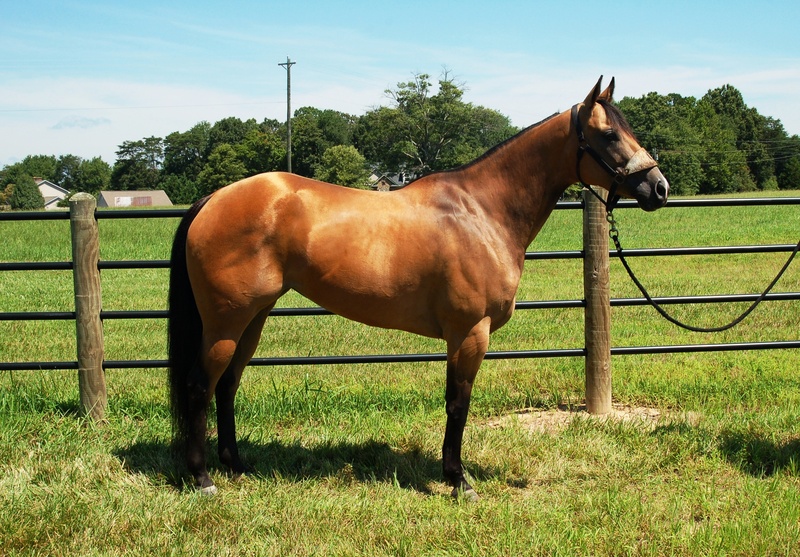 Tank is a stout sorrel quarter horse gelding. He has been used on the farm and in the feed lots to get up cattle. 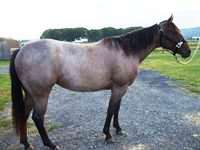 Would make a great ranch sorting, cow type or general trail horse. Kid Proof! Want To Win and Look Good Doing It? 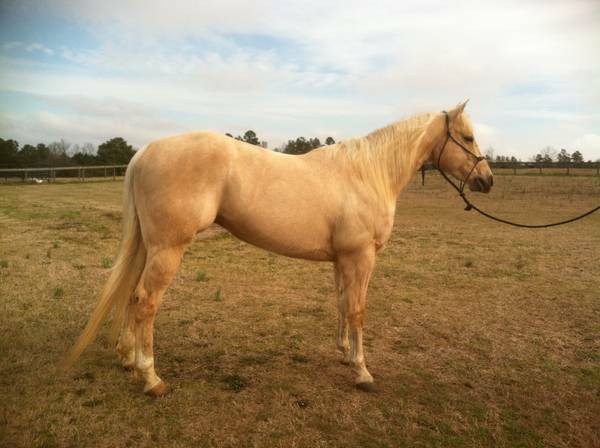 Frosty is a big beautiful buckskin gelding by PC Frosty Bid (own son of Sun Frost). His dam is an own daughter of Raise The Gamble (own son of Raise Your Glass). He has a big motor and can really turn. This 1-D horse has won in many different arenas and been in the top 5 of the 1-D at the NBHA World Championship. Frosty has the looks, personality, class, ability and record to win for you. Quite, Safe, Sane Barrelhores looking for new rider! Tangerine is an own daughter of Special Defination. She is a consistent 2-D horse that just needs a rider to hold on. She has been riden by a senior rider and is suitable for a youth. She is a point and kick horse making it easy for a kid or senior to adapt. 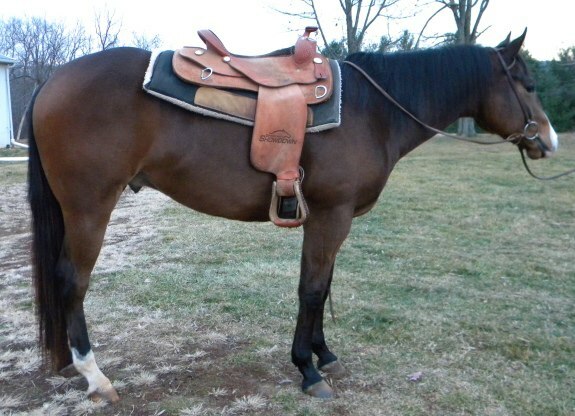 This sweet mare should be worth her weight in gold the way she takes care of her rider. Vet checks welcome. Rumors of Panama is a 100% automatic kids barrel horse. He is a 10 year old gelding that will turn everytrip. He is by Panamas Edition and of coarse the congress champion Rumors of Gold. 1-D Daughter of Dash Ta Fame. Halo has what it takes to be a Rodeo Horse, Open Horse and then raise Champion Bred Babies. Halo has won inside and outside with several different riders. She has a very smooth style of turning and a motor that only a Dash Ta Fame can provide. Halo is also a sweet horse to be around and is not mare moody! She is a true winner! Princess is a big beautiful stout sorrel mare. She stands 16h and is flawlessly proportioned. She started her career on the racetrack earning a AA speed index. 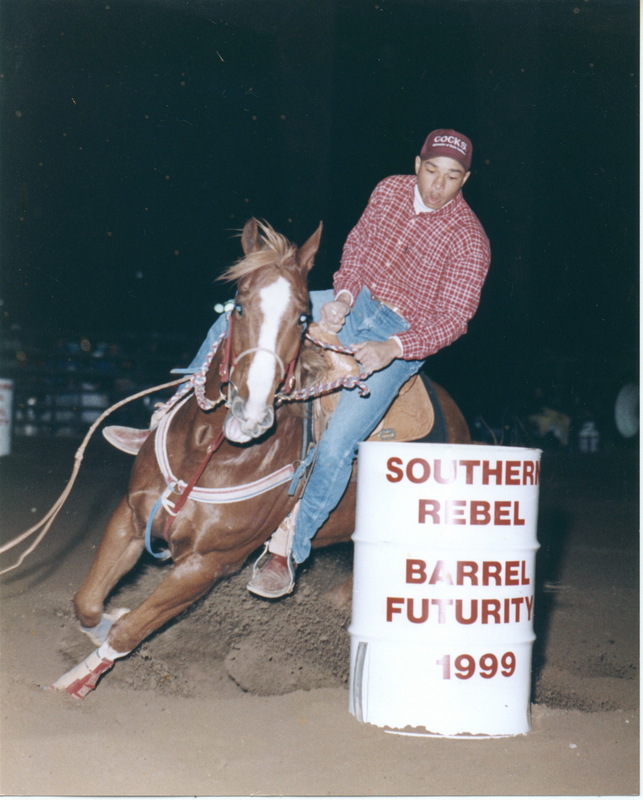 After her speed, breeding and natural ability made her a sure bet for a barrel racing prospect, she was started on the barrels. As a 3yr old Princess took to the pattern and was lightly hauled. Her stable mind allowed her to be ready for the 2013 futurity season. She has won money at every futurity that she has been entered. Princess is paid to Old Fort Days Futurity and BFA World Championship Futurity OKC. Her long smooth stride, even turns, and durable body with allow Egos Doll A Talken to be a winner for years to come. 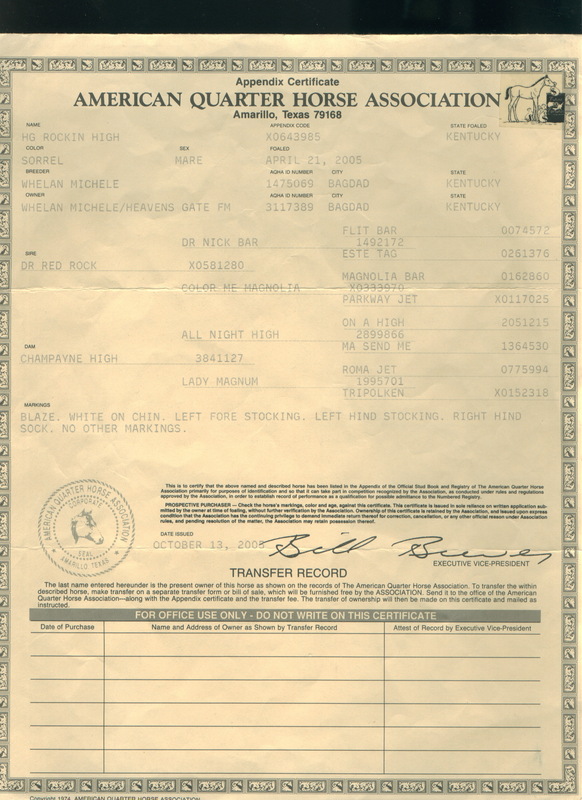 Red Oak Money aka “Gizmo” is a sorrel 15.1 hand own son of “On The Money Red.” As we all know On The Money Red was, and is, one of the most prolific sires of money-winning barrel horses of all time. During his lifetime, he earned the title from Barrel Horse News as the top sire for the previous 10 years! In 2001, he had 59 money-winning offspring, and in 2002, there were an amazing 72! That suggests success for many different riders, with different skill levels, riding equine athletes out of many different mares. 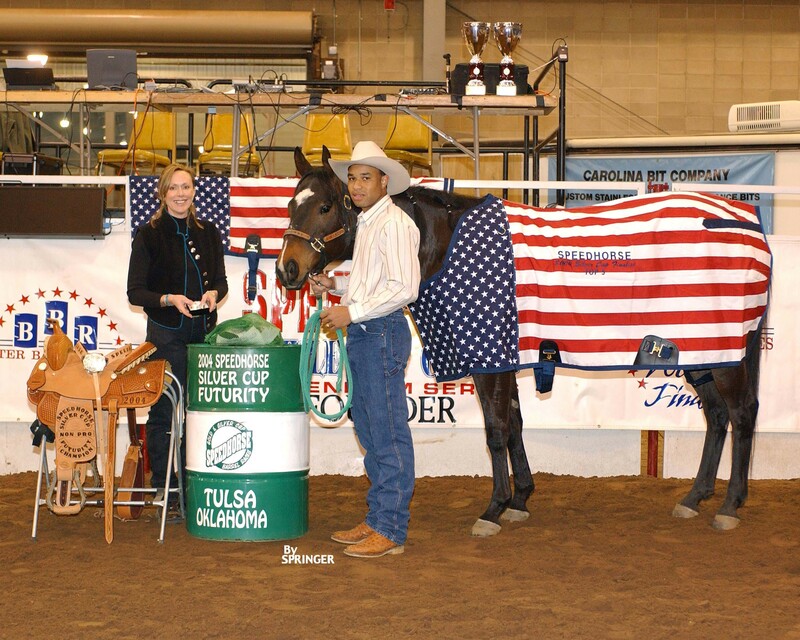 On the futurity circuit, Kim Landry rode many OTMRs to fame, including back-to-back wins at Fort Smith. In 1996 she took top futurity honors on See My Money, and again in 1997 aboard On The Money Luv. On The Money Reds have a reputation for being intelligent, fast, with a lot of heart, and they like to find a barrel and turn it. They tend to have large burst of speed, explosive power, and cat-like quickness. Gizmo has lots of these traits passed down from his sire. He is a consistent 1-D horse with many wins to date. Just to name a few recent wins: 2010 NBHA Colonial National Championship Youth 1-D 3rd, 2010 Clayton C Bryant Slot Race Champion, 2011 NBHA Colonial National Championship 11th out of over 775 entries, 2012 NBHA Youth World Championship 1st Go 2nd place in 1-D behind Chloe Gray, 2012 NBHA Colonial National Championship Youth 1-D 6th place. Gizmo has been ridden by a youth rider and has many more wins to date. Please feel free to call for more info. 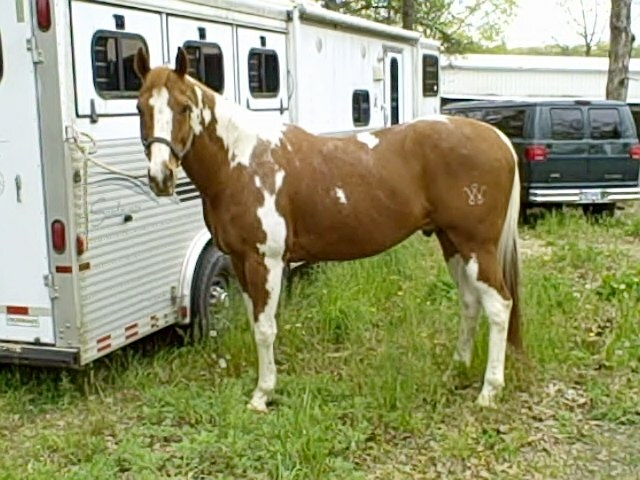 Solid Machine is a beautiful APHA gelding. He has been trained western pleasure but also has a natural hunter gate. He stands 16.1 and is only 3 years old. He is ready to be your winner in the show ring. He has phenomenal legs, good boned and sound. Great Futurity Prospect. 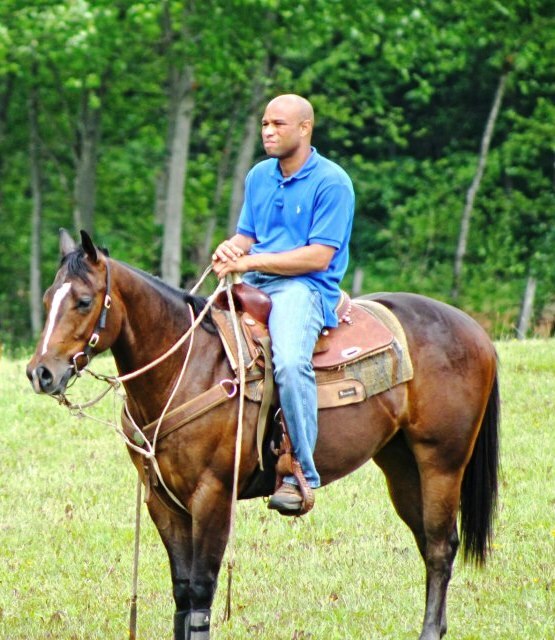 Watch below video of “Dallas” riding without the bridle. 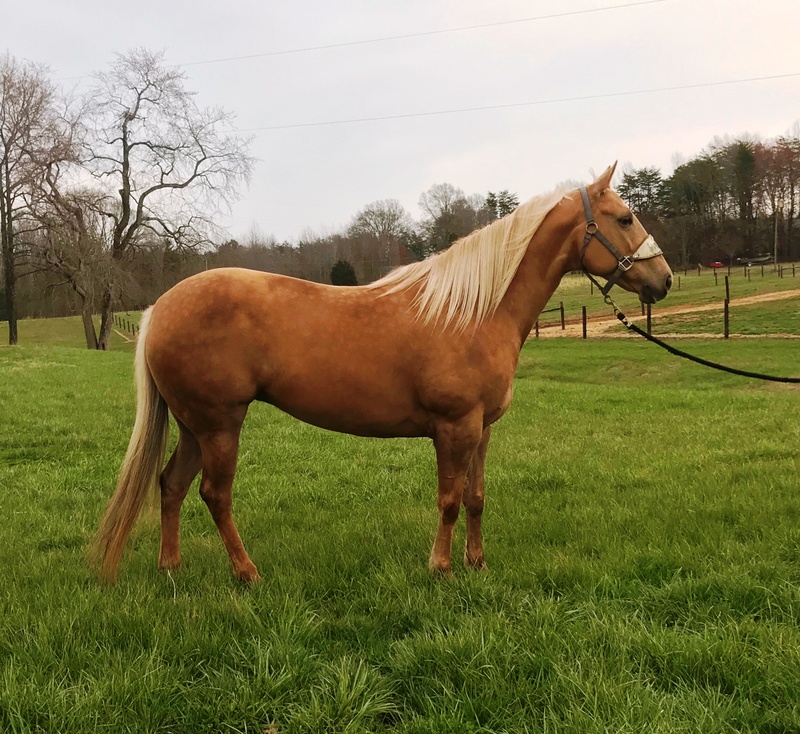 HG Rockin High is a beautiful stout mare that has a bright barrel racing future. She is by the recently deceased Dr. Red Rock who is an own son of Dr. Nick Bar. HG Rockin High is the half sister to Brand Me Lucky who won over $60,000 in the barrel Championship racing arena, was 3rd at the BFA World Futurity. Brand Me Lucky also won the NBHA Senior World Championship with Brad Wagner aboard. HG Rockin High has a quiet demeanor and is personable to be around. Looking for a big stout beautiful mare with a winning pedigree to run, win and breed. 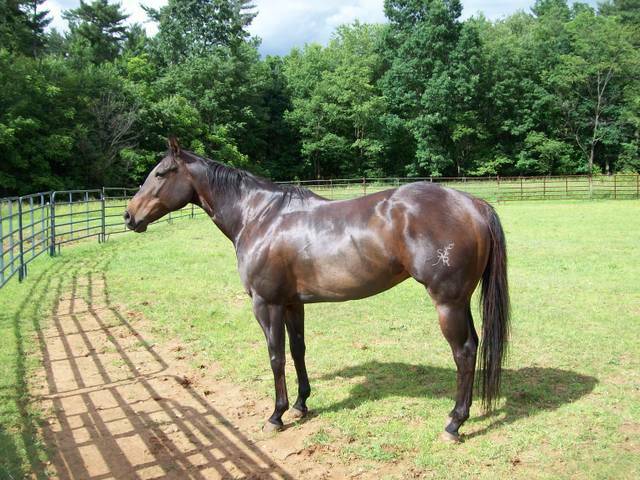 Whether you want to derby, rodeo, horse show, jackpot or playday this mare has it all. She is a futurity WINNER winning the Speed Horse Bonanza Winter Futurity (Both Go rounds). She hhas been hauled and seasoned thru her 5 yr old year. Fancy is by Perks Alive who is a barrel race winning son of Dash For Perks. 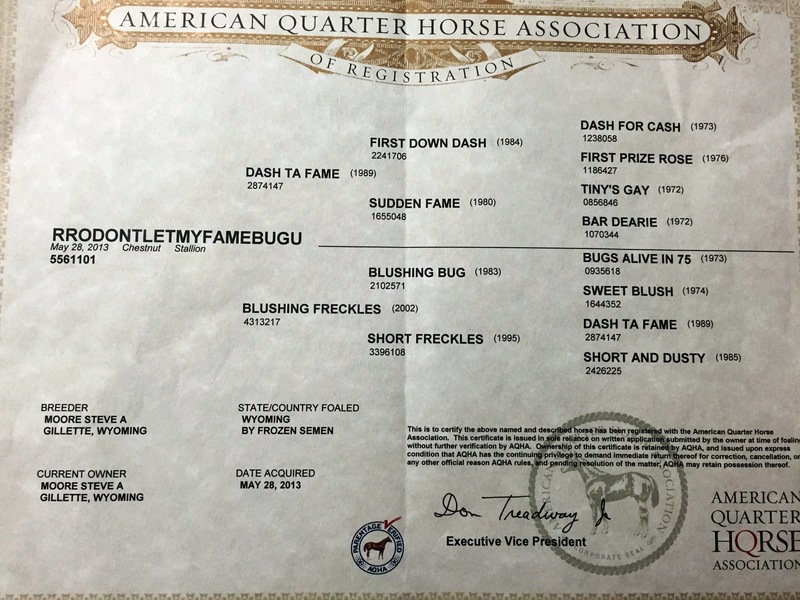 Fancy's dam is a 1-D mare that goes back to Lady Bugs Moon and Go Man Go. This mare has proven she can win! Easy to ride! Vet Checks Welcome! If You Are Looking For An Investment In The Barrel Industry…Take a Look! 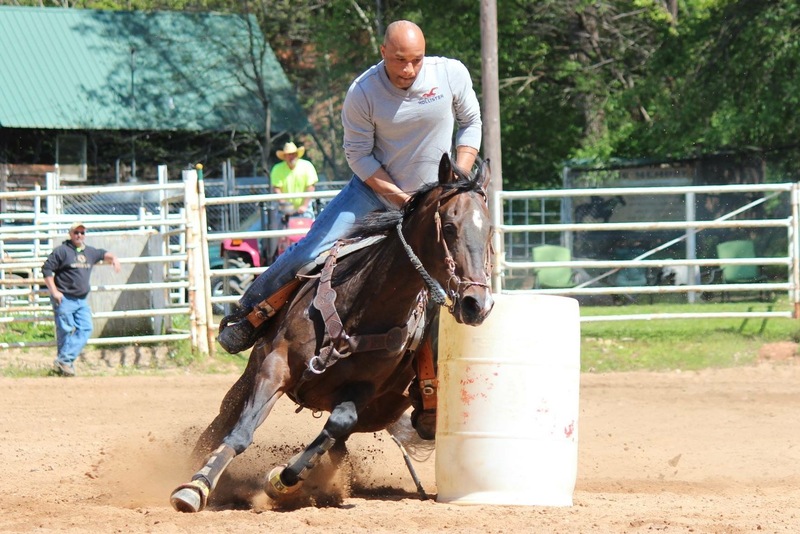 Prince has already started his barrel racing career off with a winning start. 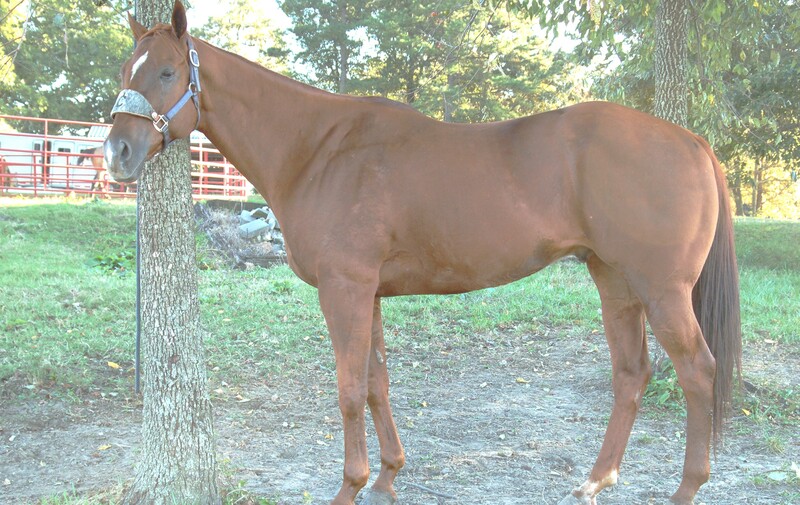 This sorrel gelding placed 3rd in the average at the IBRA Murfreesboro Futurity (1st Division) in January 2012. Prince is a worker, easy to ride and great to be around. Paid to date at Old Fort Days Futurity. Could pay for himself and would make yourself a Standout Rodeo or Open Horse. ANYBODY CAN RIDE! Vet Check Welcome! What a magical cross! Guy is by an own son of Marthas Six Moons and by an own daughter of Frenchmans Guy. 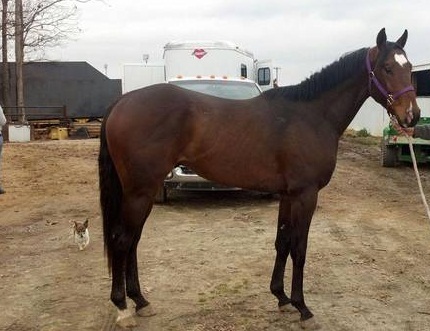 This 6 year old gelding is easy to ride and is kid safe. He has 1-D potential and is young enough to last. Guy is quite to ride around and loves to trail ride. 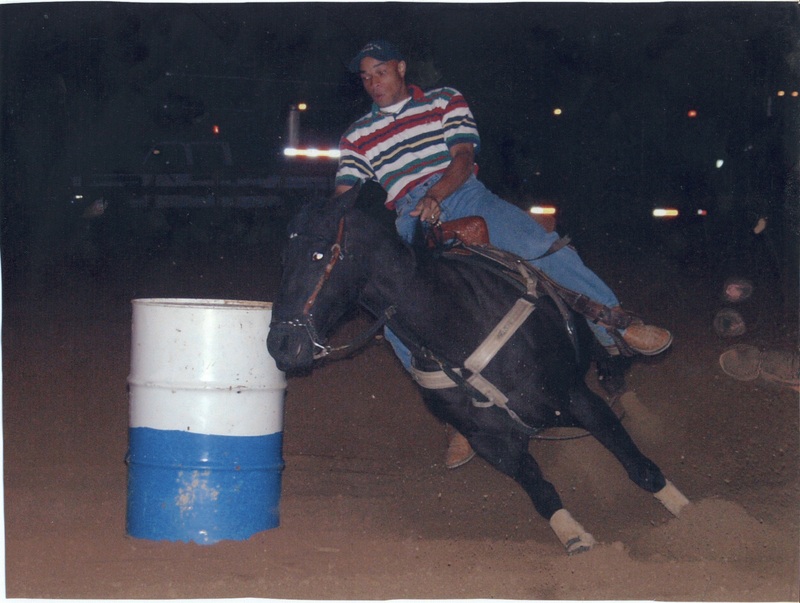 trained on barrels and is a very easy to ride 1-D horse. She is quite but catty. She is ready to enter your next Rodeo or Open Barrel Race. 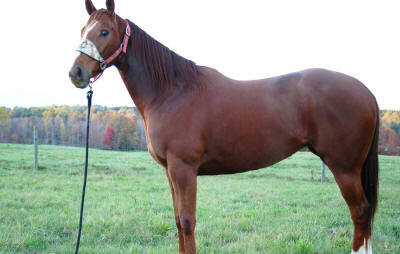 In addition to barrel racing, she has a pleasant personality and likes attention. She loves going on long trail rides. Wendy hauls great, is sound and pre-purchase vet checks are welcome. Don’t miss out! 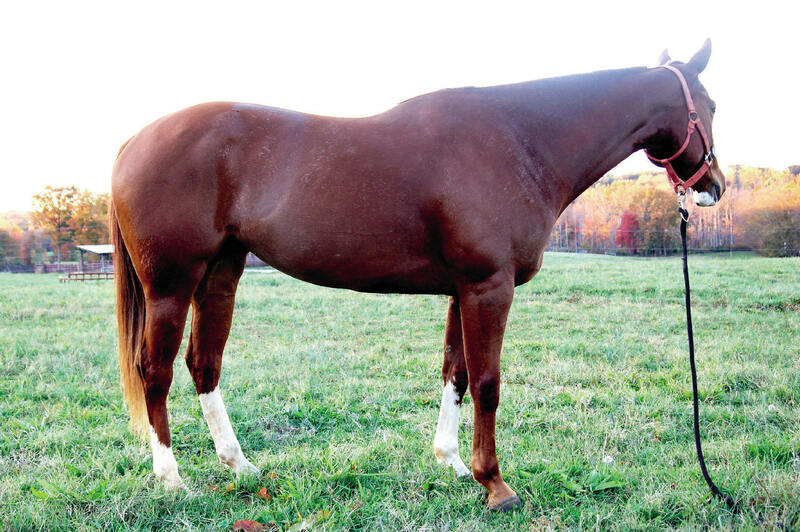 Gator is an own son of Judy's Lineage who is "The Nation's #1 All-Time Leading Paint Sire." He has won open barrel races with open and youth riders. Looking for COLOR, SPEED, PEDIGREE? Look No More! Frenchy is an own Son of Frenchmans Guy. Of coarse Frenchmans Guy has sired money earners in excess of 3.5 million dollars. Frenchy is quite, easy to ride, walks up the alley way and anyone can ride him. This horse has all of the tools to be a great rodeo or open horse. He can run in large and small pens. Make this this one your next one to take you to the pay window. We want you to enjoy him as much as we have. Vet checks welcome! On June 15 2012 Frenchy won the 1st go at the NBHA Super Show in Syracuse NY(over 350 entries). WANT TO WIN!!! Here is your chance! 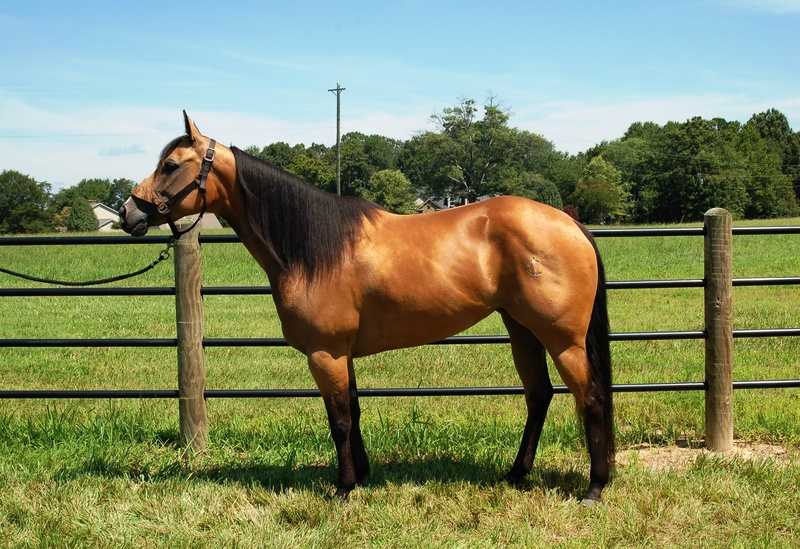 Kickin Chico is a 1-D open horse raised on the famous barrel horse farm The Southern Rose Ranch. He is a futurity money earner and has won open tough open barrel races. He was a top ten finalist at the 2011 Colonial Nationals which had 775 entries. Be sure to watch this video! On June 15 2012 Chico won 4th in the 1st go at the NBHA Super Show in Syracuse NY(over 350 entires). 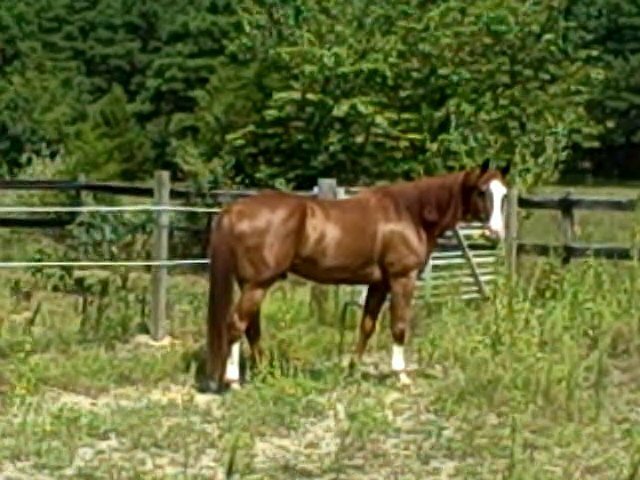 Hawk is a 3 year old Barrel Racing Prospect. 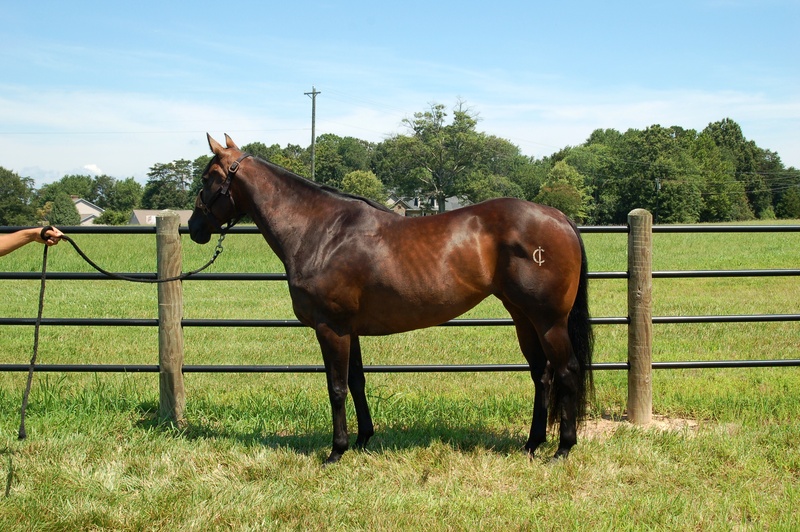 This Big, Strong, Bay Gelding AAA on the race track earning a 91 speed index. He is like a mirror image to his father Hawkish. Hawkish is a champion sire with a speed index of 106 earning $685,631. Hawk's dam is Red Temptress. She won over $43,000 and ran a 97 speed index. She is sired by Rolls of Romance. Currently started on barrels. 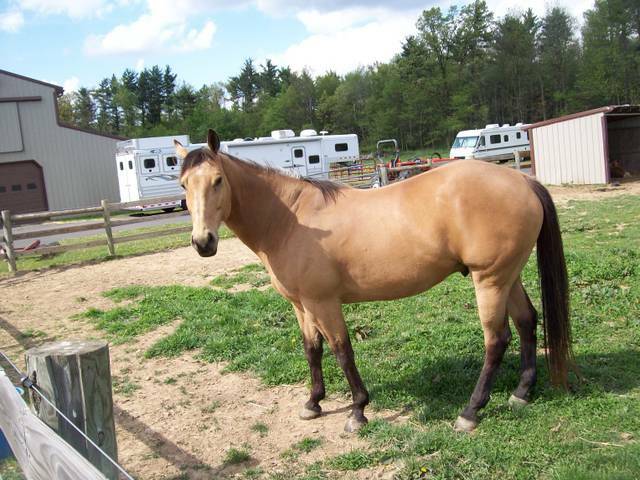 Nice 1-D/2-D Buckskin gelding. Muddy has run locally in the 1-D while running regionally and nationally in the 2-D. This gelding is big, strong and durable. He can carry the you to your next barrelracing payday. Vet checks welcome! Looking For That Star? Here She Is! 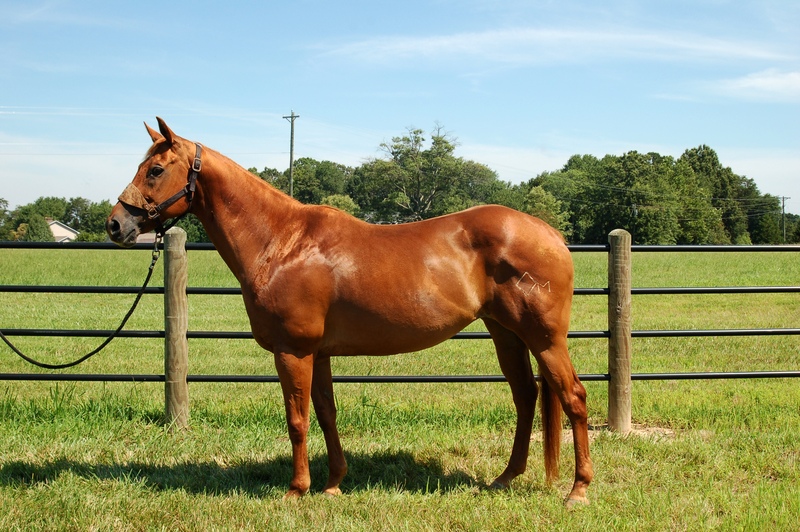 This 6yr old 1-D mare by Special Definition has proven she is a top caliber horse and is ready for the road. She would make a great addition to any rodeo team. “O yeah…did I mention she has been to rodeos?! Good home is a must! Vet Checks Welcome! Take a moment to watch the video from the 1st Go at the 2011 NBHA Colonial Nationals. The round was won with a 15.1 Diron Clements and Sis Ta Fame/Shelby Hester Thebudmister and Brett Monroe Running For A Title was 3rd. Little Heavenly ran a 15.3. Out of 775 entries only 2 tenths off the winning time. Looking for that horse to take you to the next level? Well here he is!!! 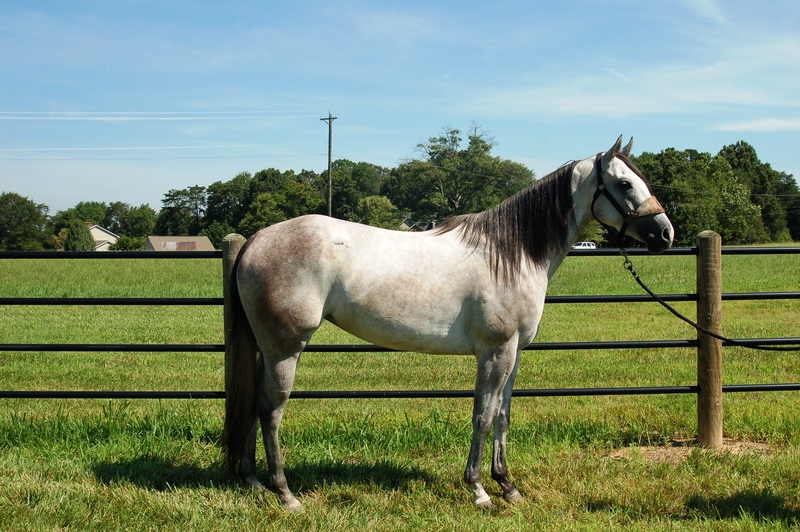 Call Me Brisco is a beautiful stout, durable and properly conformated gray gelding. He was a race winner on the track making his speed index. “AA.” The run Call Me Brisco is making below is of him getting second at the prestigious Clack-A-Dome Futurity earlier in the year. Call Me Brisco is sired by Brisco County Jr. SI95 and has LTE of $112,225. Brisco County Jr. is also the number 11 leading barrel futurity sire. Call Me Brisco’s success as a barrel horse thus far proves he was bred to be a champion. ALERT ALERT!!! THE FIRST PLACE CHAMPION AND THE THIRD PLACE HORSE AT THE MEGA BARREL RACE IN JACKSON, MISSISSIPPI RECENTLY WERE SIRED BY BRISCO COUNTY JR. Briscocangetit (2007 Palomino World Barrel Racing Champion Ridden by Darlene Moran) won the “MEGA” barrel race in Jackson, Mississippi. Also Ms Dixie Cousins (ridden by Carrie Thompson) was third at the “MEGA.” Both of these world champion horses sired by Brisco County Jr. show the quality and potential that he has put in Call Me Brisco for a long successful barrel racing carreer. Safe, Sane and Sound. Vet checks welcome. Thanks for looking!!! Every season a son of Dashin Is Easy has been a contender at the major futurities. The list includes 2007 BFA $100,000 $uper $takes Champion Bet or Check, 2006 3rd place Pro Tour Futurity winner Silks Easy Dash, 2007 Futurity winner and Speedhorse Silver Cup go round winner Reasy Dasher. Trey’s dam is by Chicks Beduino. The magical cross of Chicks Beduino as the Dam’s Sire has produced proven winners such as 2006 Champion of Champions $100,000 winner Dashing Ta Roses. Trey has the breeding to follow in the foot steps of all these proven champions. Trey has exhibited 8 to 9 tenths off the open horses and is ready to step up. He is big enough to win and easy enough to ride. He has not been pushed to get ready to run times and can easily make the later futurities (Old Fort Days) or run and win next year in 5 yr. old futurities. Don’t miss this one. 3 Year Old - Own Son of Bully Bullion. Started on the barrels.